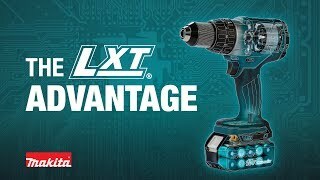 The Makita 18V LXT® Lithium-Ion Brushless 3-Piece Combo Kit (model XT333X1) gives you three efficient brushless tools for drilling, driving, fastening, and cutting. You also get one each of the category’s fastest-charging 18V 2.0Ah and 4.0Ah batteries and the expansive breadth-of-line of the Makita 18V LXT® battery platform, so your batteries will power the expanding range of Makita tools and accessories. 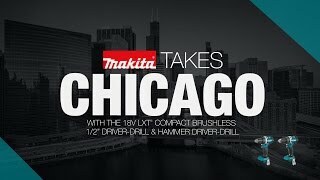 The XT333X1 includes a variable speed ½” hammer driver-drill with two speed settings (0-500 & 0-2,000 RPM) with a full 530 in.lbs. of Max Torque. The variable speed impact driver has a full 1,500 inch-pounds of Max Torque for efficient fastening. The 6-1/2” Circular Saw delivers 5,000 RPM and is equipped with Makita’s Automatic Speed Change™ technology to adjust speed and torque during operation for optimum performance. Shipping Weight : 20.73 lbs.